General Motors started this year with the introduction of the all-new light-duty Silverado. The redesigned and innovative GMC Sierra arrived in March and the firm also promoted the new sub-brand AT4 which brings off-road version for all models in brand’s lineup. However, that shouldn’t be all from GM for this year. The mid-sized Colorado and Canyon are also in line for the mid-cycle update and models should appear by the end of the year. 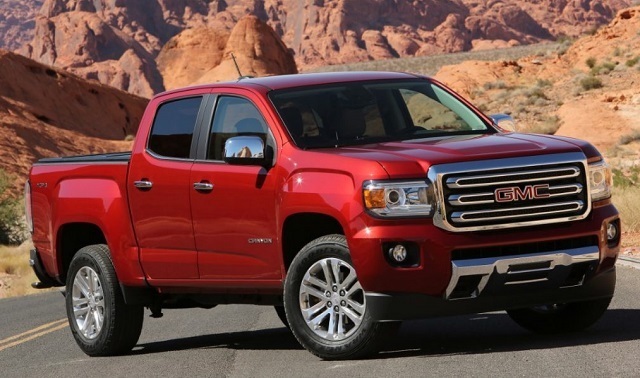 The 2019 GMC Canyon should come in the refreshed from after this generation debuted for the 2015 version. The model is expected to advance with the refreshed styling and interior. The firm will also upgrade the electronics and we hope to get upgraded powertrains. GM promised the AT4 version for each model in next two years and the upcoming Canyon is also the candidate. No prototypes of either Chevy Colorado or GMC Canyon were spotted on the road testing so far. Still, after the debut of this generation in 2015, it should be the time for the mid-cycle update. In that respect, the 2019 GMC Canyon is expected to hit the market in the refreshed form and the changes should mimic those seen on the all-new GMC Sierra and recent SUVs. Having that in the mind, the new Canyon should adopt redesigned grille version with similar contours as on the new light-duty Sierra. The headlights should also come in the new form and with the attractive C-shaped signature LEDs like on firm’s latest models. On the other hand, the sheet metal won’t change as it is the case with most of other mid updates. However, the tailgate should also get restyled taillights and other changes could include the new wheel options and exterior theme. Inside the cabin, we should not expect extensive changes. Fresh materials and textures should appear. 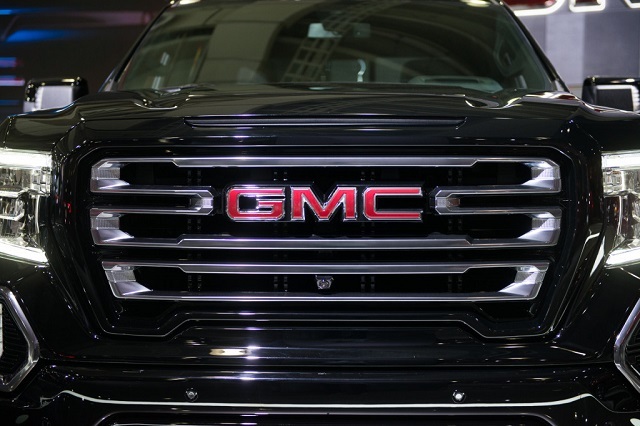 GMC will also bring the upgraded infotainment system and we also expect to see upgraded active safety equipment. The model will again appear in the ultra-luxury Denali trim with the unique grille version and high-quality upholstery among other. The wheel range will start with the 16-inch diameter and will grow to 20-inch design in the top-tier version. Available will be diverse package options and the AT4 version might also appear with the off-road hardware and dark-themed styling. The engine range will likely consist of the same options in the refreshed 2019 GMC Canyon. The base 2.5-liter four-cylinder makes 200 hp and torque 191 pound-feet. A 3.6-liter V-6 has more muscle and delivers 308 hp and torque of 275 lb-ft. It works in the combination with the 8-speed automatic gearbox. However, it also possible the introduction of the new 10-speed automatic which would improve the performance and efficiency. The 2.8-liter turbocharged diesel engine will return again. In the combination with the 6-speed automatic, it now provides 181 hp and significant 369 lb-ft of torque. The new version might introduce the new 10-speed automatic transmission but also the AT4 version. The AT4 means lifted suspension, unique wheels and all-surface tires, differential locks, etc. Another great upgrade would be the 2.7-liter turbo-4 engine available in the new Sierra but no hints about its arrival so far. The price of the 2019 GMC Canyon should stay close to the current boundaries. The arrival is expected in the third quarter of the year.